This is a follow up post from our recent trip at Puerto Galera. As promised, I will write about the all time favorite past time of the female populace, SHOPPING! 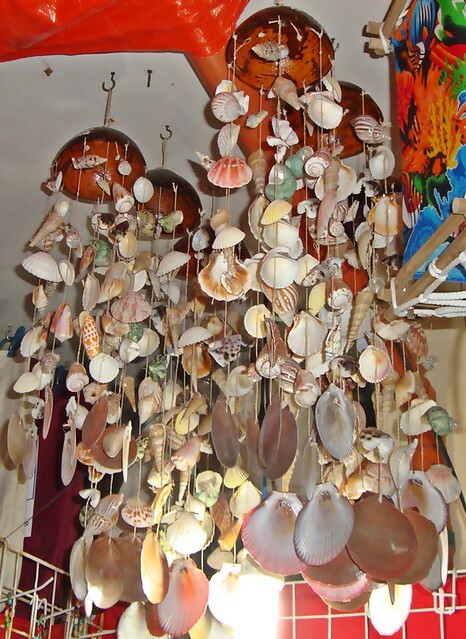 Aside from the beach and the night life, the White Beach of Puerto Galera is likewise known for the different souvenir shops. 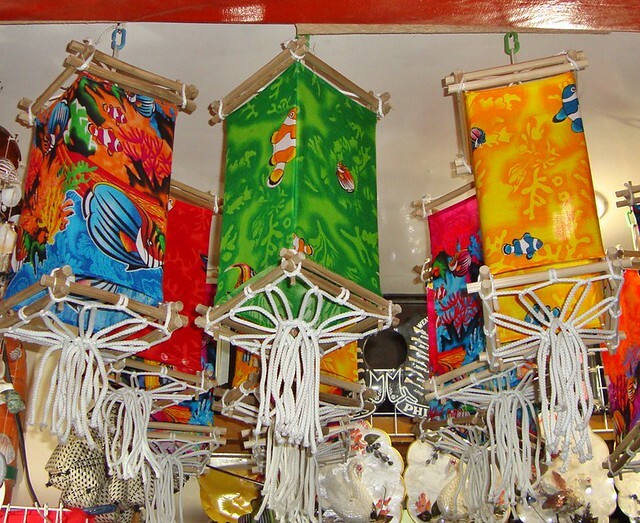 The most common souvenir you can take home from the Puerto Galera are these. T-shirts cost around Php 90 to 100 (around $2.25) for small to medium sizes. Sarongs are a common find too. This tube length fabric is very useful at the beach. Sarong can be used as a body cover and serves as a beach mat too. I bought my own sarong too for only Php 120 (around $3). It's cheaper than those sold in SM and other department stores in Manila. 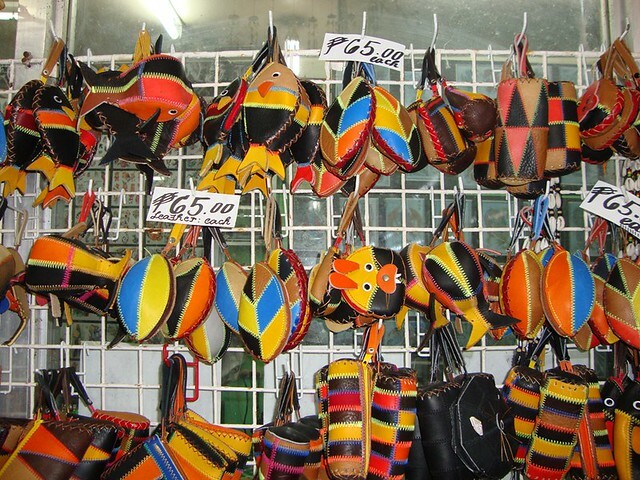 Local slippers and sandals made from abaca. And in case you forgot your swimsuits, a lot of shops are selling these..
Swimsuits are not that expensive too. You can purchase a piece for as low as Php 500 ($12). For those who love accessories, these pictures are for you. 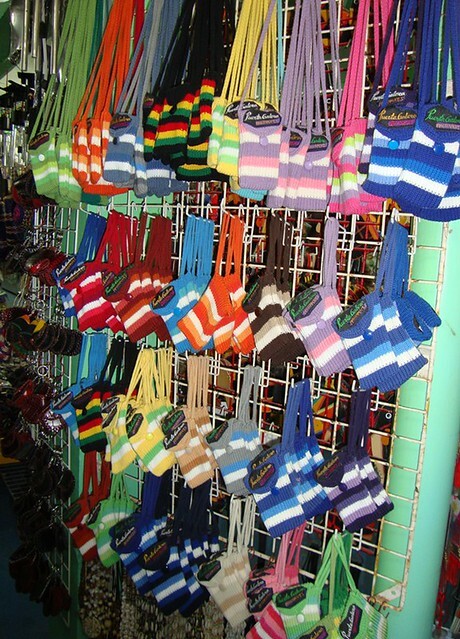 Colorful yarn bracelets and anklets are the cheapest souvenirs you can purchase. Each yarn bracelet costs Php10 ($0.25). 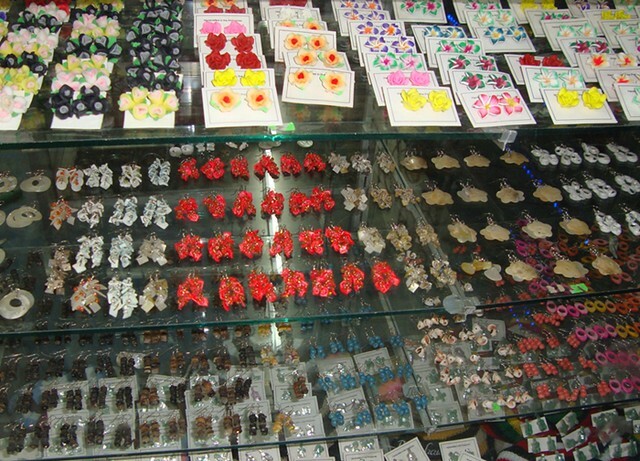 Earrings and bracelets made of plastic, wood and shells. Here's what I bought for myself. 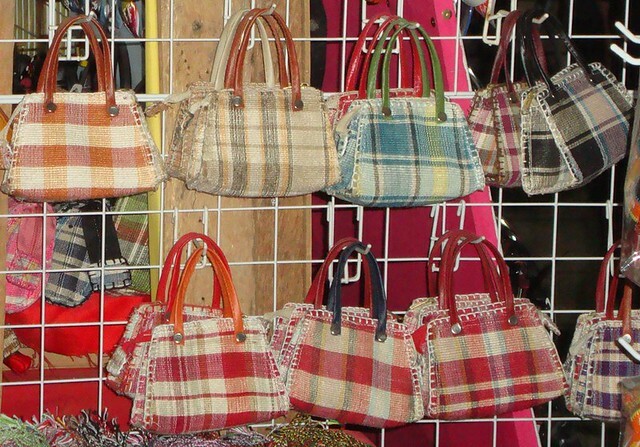 ﻿These handbags are made from the fibers of Abaca plant. If I am not mistaken, only the Philippines and Ecuador have natural Abaca plants. These bags are handcrafted per piece. 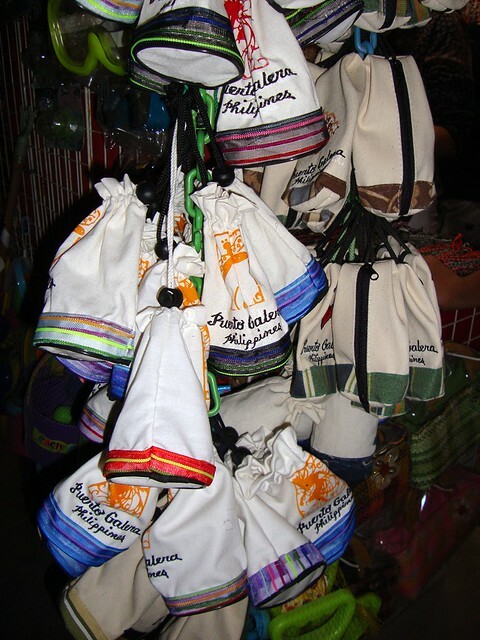 Each fiber of the abaca leaf are extracted, converted to threads and are weaved to form these bag pieces. 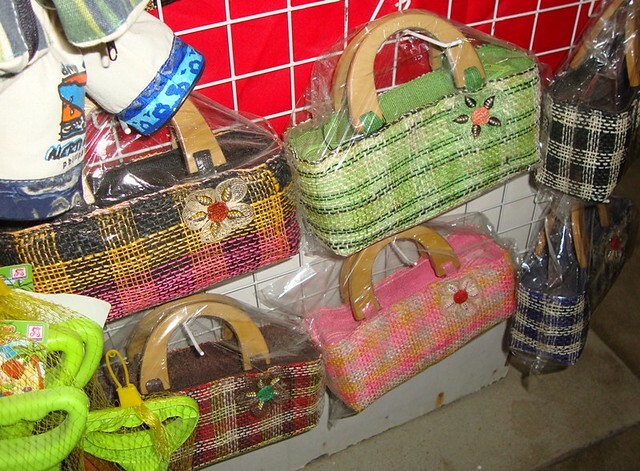 ﻿ Cute Abaca bags that can be used as coin purses. ﻿Knitted mobile phone cases made of colorful yarns. Nope they are not your regular knapsacks. 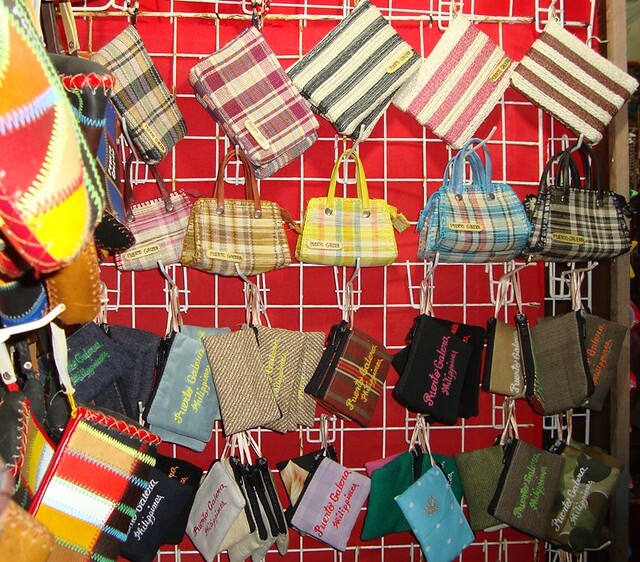 They are mini knapsacks made of canvas and can be used as a coin purse or a case for your small gadgets. My trip to Puerto Galera would not have been possible without the help of my two beautiful girlfriends. Looks like a fun day of shopping! Love all the colors in the photos. All of the items look so bright and cheerful. I was particularly interested in reading about the abace plant and how the fiber is made into those great shopping bags! I wouldn't mind the weather over here to warm up enough to be wearing a sarong and slippers. I guess we have to wait until August! Hi Diane! What's a trip without shopping? :) Love seeing all of the wares and such good prices! You're so sweet and I'm so glad I've met you through Blogland. All those beautiful things to look at I would say you had a great time! The only way to end a trip is SHOPPING! Looks like your whole trip was bunches of fun! No vacation is complete without a little shopping. The beach, girlfriends, & shopping...is there anything sweeter in life?? :) I am glad you had a wonderful time & thank you for sharing. Happy Easter Diane - I love your beautiful photography! I signed up to follow you thru GFC and hope you'll follow me back at Create With Joy! This week, we're discussing blog advertising in my weekly feature, What's On Your Mind. I hope you'll stop by and share your thoughts when you have a moment.